Today we’d like to introduce you to Jill Allison Bryan. Jill Allison, let’s start with your story. We’d love to hear how you got started and how the journey has been so far. I’m Jill Allison Bryan … founder of Creative Oasis Coaching … certified master Kaizen-Muse Creativity Coach … Singer/Songwriter … Recovering Procrastinator and Perfectionist … Coffee Devotee … Picture Snapper… Live Music Aficionado … Veggie Lover… Meditation/Yoga Fan … Runner Girl … Sporadic World Traveler… Rabid Recycler… Believer in Infinite Possibilities … and Generally Happy Human! I’m absolutely passionate about helping women give themselves permission to experience more joy and personal satisfaction by spending time with the creative projects, passions and pursuits that energize and delight them … or as I call it, their Creative Oasis! In 2006 I started working with a creativity coach. 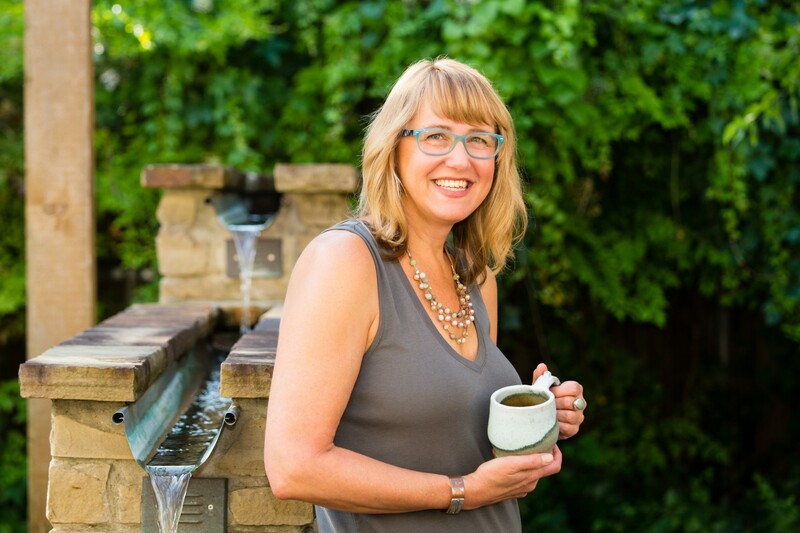 Luckily, my coach, Jill Badonsky, was also the founder of Kaizen-Muse Creativity Coaching. After she helped me bring consistent creative joy back into my life through my music, Badonsky invited me to apply for her rigorous (yet, delightful) training program to become a certified KMCC coach myself. Saying yes to that opportunity has been one of the best decisions of my life! I absolutely believe that the transformations, successes and joy I’ve experienced in my life due to creativity coaching make me uniquely suited to now share those methods with my clients as they embark on their own creative journeys. 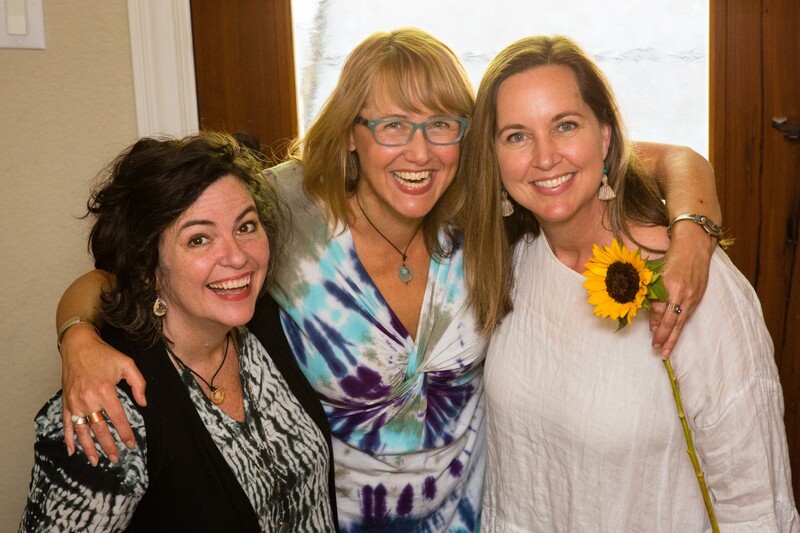 All of these rewarding life experiences and many more were made possible by using creative coaching methods that I continue to practice in my own life and share with my clients through Creative Oasis 1-1 coaching, classes, workshops and retreats. 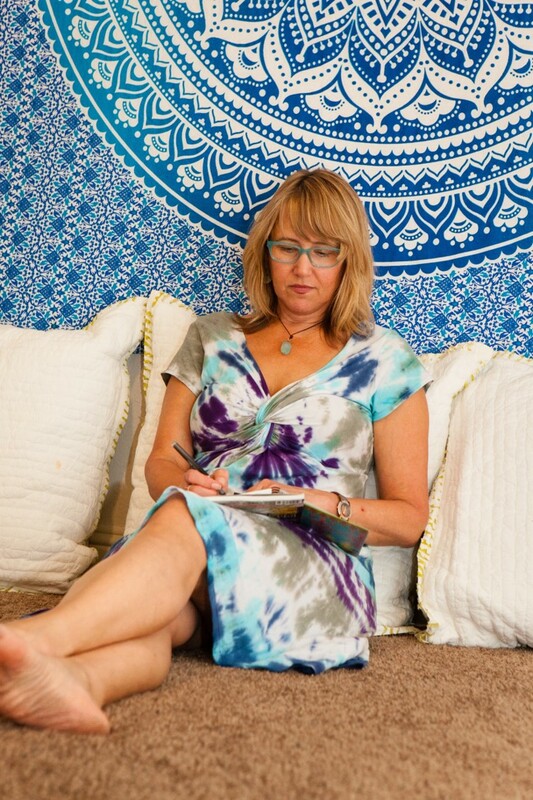 My personal Creative Oasis includes a multitude of things such as making music, writing, reading, traveling, attending concerts, photography, cooking, yoga, exercise, hiking, entertaining, coloring, visual journaling and more. Truthfully, I believe life is our canvas and gives us the ultimate opportunity to live joyfully and express ourselves creatively every day! Of course, as with any business, there have been challenges along the way. Thankfully, I’m able to use my favorite coaching methods to help myself navigate past those! For example, the very first time I was hired to plan and deliver an interactive creative workshop for a group of more than 60 managers at a Deloitte employee enrichment retreat, I honestly felt a bit overwhelmed. I was able to diffuse those feelings by implementing Kaizen techniques. Kaizen is a Japanese term that means “small steps to continuous improvement” and I use it in a multitude of ways in my coaching practice. Alright – so let’s talk business. Tell us about Creative Oasis Coaching – what should we know? As one of my clients says, I’m like a personal trainer for the creative spirit. I love helping people practice good self-care by saying yes to their creative projects, passions and pursuits! Since founding Creative Oasis Coaching in 2008 I’ve coached hundreds of people from around the globe. I help my clients to gently move past the blocks of procrastination, perfectionism, fear, overwhelm and their inner critic voices so they can build their confidence, explore their options and enrich their lives with the creative endeavors they crave. 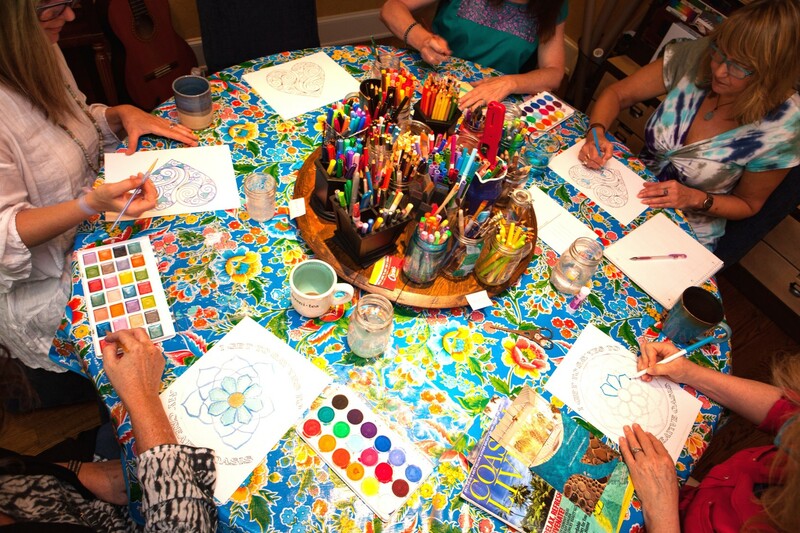 I also host Creative Oasis Coloring and Wine parties at Times Ten Cellars in Lakewood as well as in private homes and businesses and lead Creative Oasis Day Trippers Outings which are fun creative field trips in and around DFW. 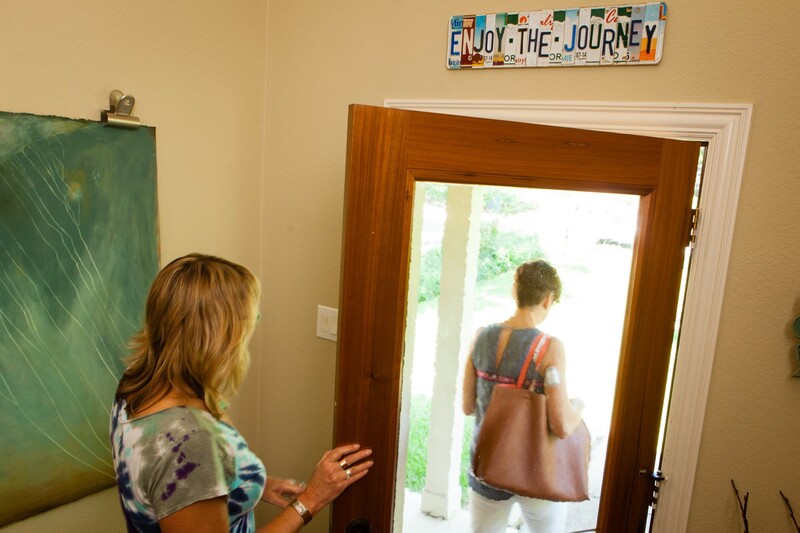 I’m super excited about my latest offering, Creative Oasis Retreats! 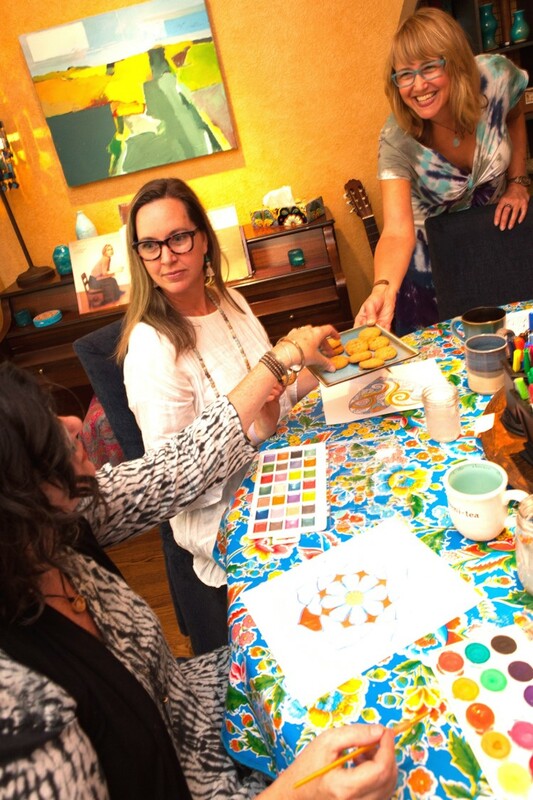 I host small groups of women for a relaxing day of creative exploration, camaraderie and play. 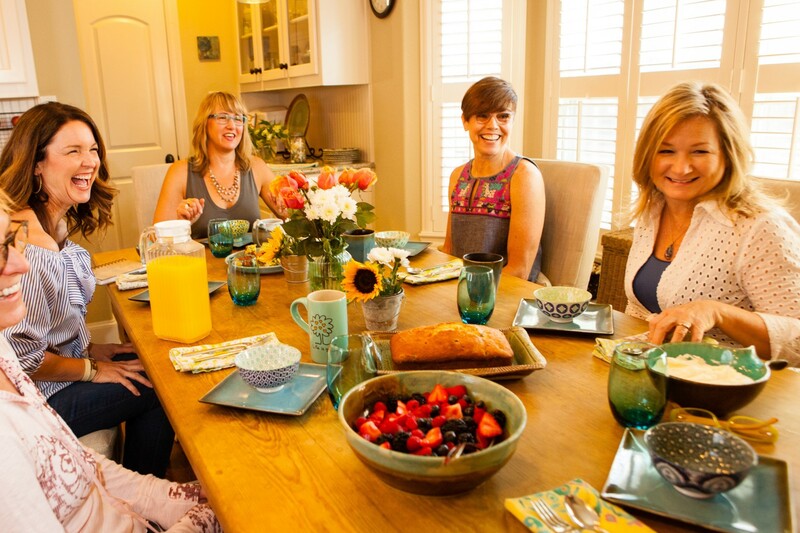 I serve breakfast, lunch, and a variety of fun creative experiences throughout the day. The response has been amazing! It’s a wonderful way for women to step away from their never-ending to-do lists and take time out to nurture their creative spirit. Currently, I’m offering two public retreats per month. People can also schedule private retreats for their own groups. 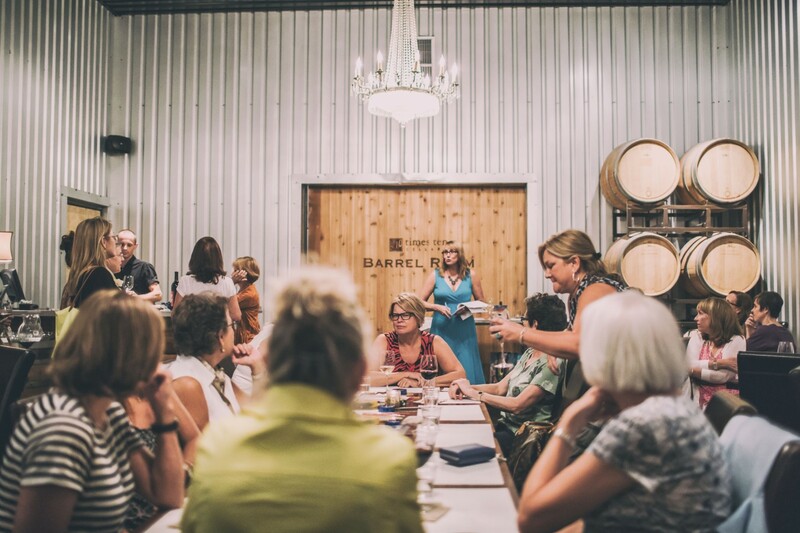 These are a fun, unique way to celebrate birthdays, host book clubs and showers, enjoy girlfriend get-togethers, entertain out-of-town guests and even facilitate off-site team building and employee appreciation events! 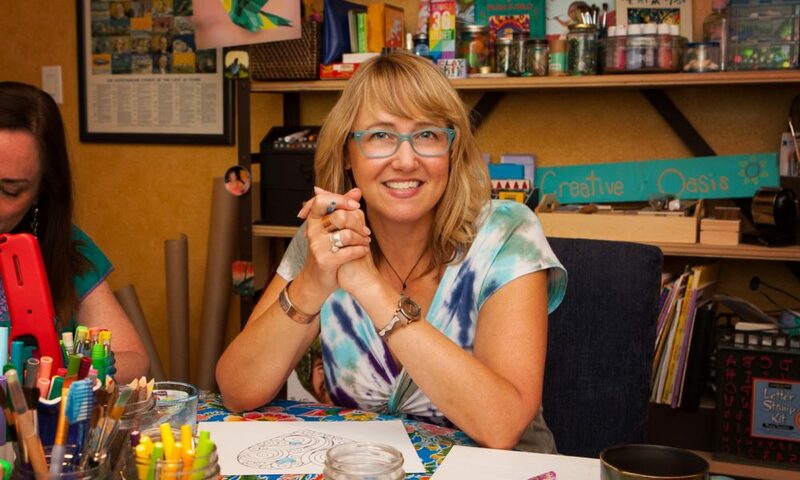 I invite anyone who’s curious to learn more about Creative Oasis to visit my website and request a complimentary copy of my Permission to Be Creative 101 Guide. This is a great place to start and you’ll also receive my Mid-Week Oasis Moments newsletter for weekly inspiration and motivation plus details about my upcoming events. I think the fact that I do my best to practice what I preach and live by example every day shows the people that I work with how much I believe in the power of the coaching philosophy I share with them. I believe you have the opportunity to infuse your life with creative joy in so many ways! Sure ~ it could be through making art or making music or writing a book ~ but you can also experience creative fulfillment in the way you dress or decorate your home or cook a meal or entertain friends or travel! I try to model that for my Creative Oasis community and help remind them that living a creative life is a choice they can make every day to add more joy to their existence on so many levels!